Renee and Mathew’s Kraft Azalea engagement felt like pure magic! With the Summer sun coming in through the streaming through the enormous cypress trees to the quietness of it being just the three of us at the park, it truly felt like love all around us. My sweethearts story began nearly three years ago. Like many of my couples, Renee and Mathew met by chance online. I must reiterate ‘by chance,’ as Renee wasn’t even planning on joining the online dating scene until her friend Erin gave her a little push. Matched up with Mathew not long after signing up, the two decided to meet in person after finding out they had mutual shared interest, such as college football. Planning her “just in case escape,” Renee met up with Mathew at a time that backed up against her meeting up with her friend Stacy after. Knowing the plans ahead of time, Mathew was aware that Renee wouldn’t be able to stay for too long on their first date. However, Renee’s backup plan soon became an interruption to the realization of how much they two clicked. Conversation flowing, Renee didn’t want to leave so her friend Stacy ended up joining them. Parting ways at the end of the night, Stacy immediately texted Renee about how awesome Mathew was, which earned Renee’s official seal of approval. Since their first date, they have become absolutely inseparable with clearly no escape plans in mind – hehe! Mathew’s incredibly easy-going and selflessness contributes to the key factors Renee fell in love with, along with what makes his heart so big. Every day, Mathew greets those around him, even if they are grumpy, with a “good morning” and “good afternoon” to hopefully brighten the world with some cheer. He is also always thinking of Renee – even in the littlest ways – like ordering french fries with every meal since he secretly knows she would like them. Similiarly, Mathew also fell in love with Renee’s big heart. As he explains, “Renee is an extremely caring person and is always happy to help and nurture those around her. She would do anything for her family, friends, and me.” Of course, one of her biggest sacrifices though in her love of Mathew is by far wearing Auburn University clothing and rooting (well kind of rooting) for the team, even though she is a passionate Florida State fan – now that is love! Realizing he had found ‘the one,’ Mathew planned out his proposal to Renee. Inviting her for a walk along the dock on St. Johns River in Jacksonville, Florida, Mathew knelt down to one knee and asked for Renee’s hand in marriage. Completely in shock and unexpected, Renee of course said, “yes!” The two had discussed marriage, but Renee did not see a proposal anytime soon as they had not picked out or even went to look at rings yet – well done Mathew! Renee later found out that Mathew enlisted the help of their sisters in picking our Renee’s ring and both of their families knew of the proposal to come for several weeks! 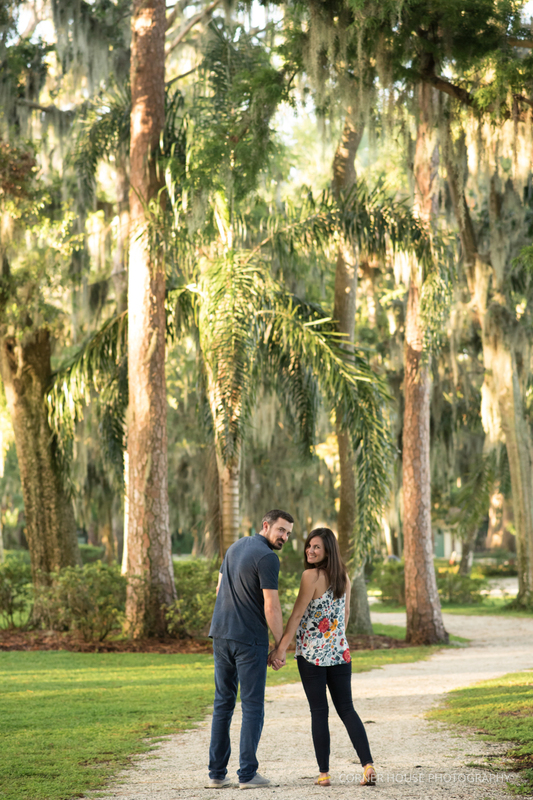 From their Kraft Azalea engagement to their upcoming wedding at Rosen Shingle Creek, I cannot wait to see Renee and Mathew again and capture their big day!